Research. Brand Identity Audit. Identity. Logo Design. 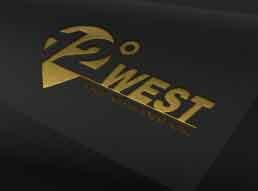 12 Degree West is a boutique business hotel offering premium yet affordable rooms and hospitality for its clients. The hotel primarily targets business travelers, but also tourists in Bangalore, India. It offers clean, vibrant rooms that exude comfort and has an in-house restaurant. The client needed a unique brand identity for the 12 Degree West brand which was to be refreshing, relevant and appealing to working professionals as well as travellers. We conducted an audit of hotel logos in order to deepen our understanding of brand identities across the hospitality category. Next, we crafted brand identity options that visually capture and communicate the brand’s position in the marketplace as a premium boutique business hotel. The selected identity comprises of a symbol and wordmark. The symbol represents a geographical coordinate marker with the number ‘12’ as an inset. The colour scheme includes gold, to connote the idea of being a premium boutique business hotel. The wordmark is clean and modern. 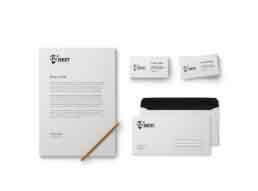 The 12 Degree West brand identity was has been well-received by the client as well as guests. It is instantly recognizable across marketing collateral and signage applications. The symbol, colour and font treatment, create a distinct identity by fusing seamlessly together.